Coming June 2011, DiRT 3 will boast more cars, more locations, more routes and more events than any other game in the series, including over 50 rally cars representing the very best from five decades of the sport. With more than double the track content of 2009’s hit, DiRT 3 will see players start at the top as a professional driver, with a top-flight career in competitive off-road racing complimented by the opportunity to express themselves in Gymkhana-style showpiece driving events. In the world of video game franchises there are a number of publishers and developers who consistently deliver high quality titles. Rockstar would be one, Blizzard another and in the racing game genre we have Polyphony Digital (Gran Turismo), Bizarre Creations (Project Gotham) and one other... Codemasters. Over the past 5 years or so a number of high quality games have been released under the Race Driver, Colin McRae (DiRT) and F1 brands with each offering a different take on the style of gameplay offered. The game features various race styles including straight up rally, landrush buggies and the new Gymkhana sections. These Gymkhana sections are what really separate the game from its predecessors, those games were always fun with plenty of action, crashes and smashes but this new style ramps the fun level up even higher through the requirement to perform tricks as part of the race. Codemasters introduced the EGO engine in the original DiRT and have been enhancing it since, hitting version 1.5 with F1 2010 and in this latest release we hit version 2.0. On our preview build, which is still being optimised, its fair to say that the graphics are very impressive. The detail level has been bumped up since DiRT2 with nice variation from track to track. This is backed by a decent soundtrack with plenty of growl from the more powerful cars. 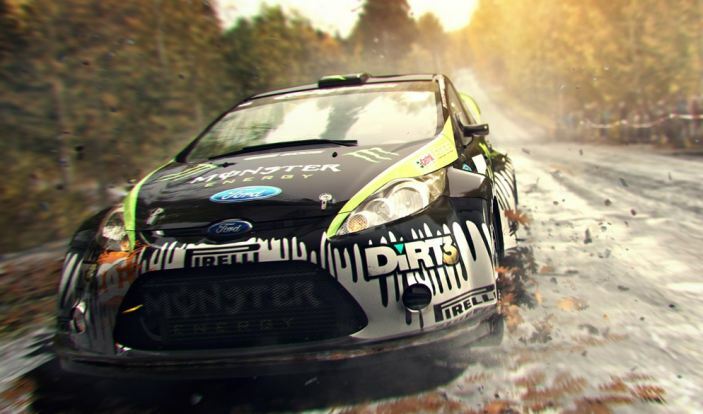 Our first taste of DiRT 3 has been packed with fun and overall we have been very impressed. The fact that the code has been receiving further polish since our build was created is great to hear and the huge amount of races and cars mixed with varied visuals should make for a quality title when the game is released on May 24th... most importantly though all of the fun that was present in DiRT 2 has been retained and then maximised thanks to the inclusion of Gymkhana.